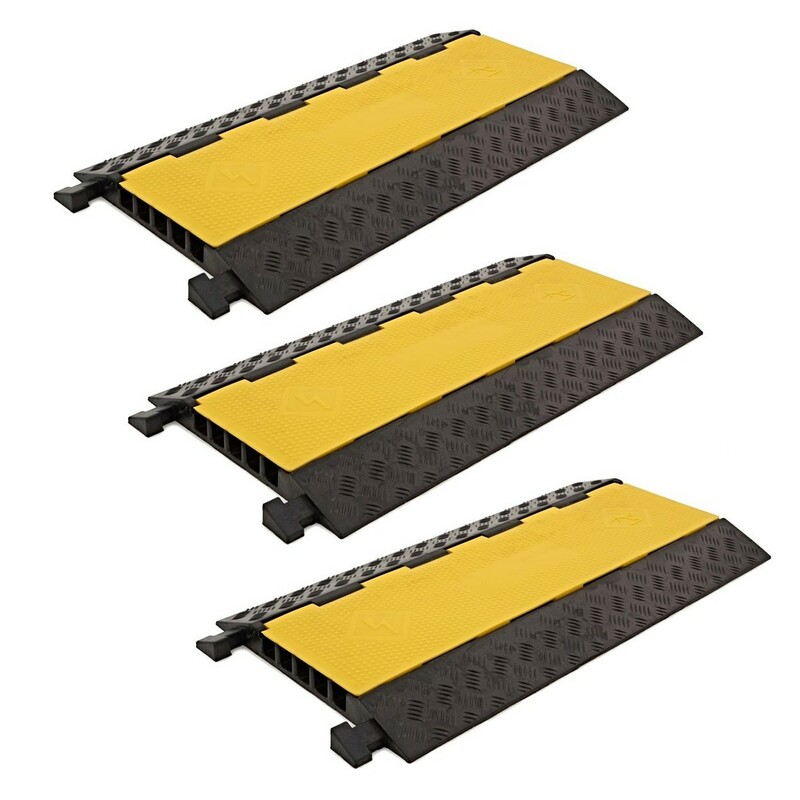 The 5 Channel Cable Protector Bridges by Gear4music, is a pack of 3 heavy duty cable protectors with a load capacity of up to 7.5 tons each. 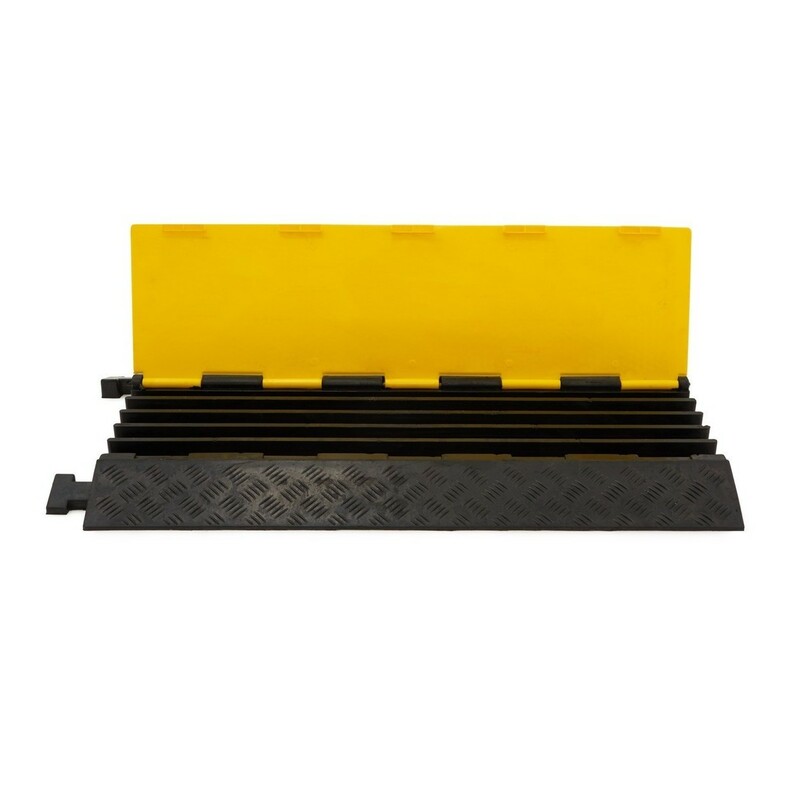 Predominantly made from high strength rubber and utilising a yellow polyethylene lid, these cable bridges are suitable for outdoor use. The non-slip surface and high visibility lid ensures hazards and risks are reduced. The 5 Channel Cable Protector Bridge by Gear4music provides a fast and simple solution for protecting cables and reducing hazards. Ideal for outdoor events, there is an interlinking system allowing you to connect multiple bridges together for metres of cable protection. Easy to use, simply position the rubber channels where you would like to route your cabling, place the cables into the channels and close the lid. With 5 separate channels each 4.5x3.5cm in size, you have ample room for multiple or big cables. For versatile cable routing The 5 Channel Cable Bridge Corner Piece by Gear4music, 22.5 degrees, utilises an interlocking system specifically designed to work with the gear4music 5 channel cable bridges.